Huey & Sal. 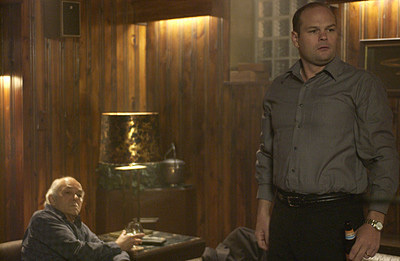 Chris Bauer as Huey Farrell and Mark Margolis as Sal Minetta. Wallpaper and background images in the The Black Donnellys club tagged: the black donnellys image picture pilot chris bauer huey farrell mark margolis sal minetta. This The Black Donnellys photo contains salle de dessin. There might also be salon, salle de retrait, salon, parloir, salon, séjour, chambre à l'avant, salle, and salle de devant. Screw the cheerleader, save the Donnellys.